with a 15% off code good until the 4th! Just add it at checkout, and you're all set! Now back to today's post... 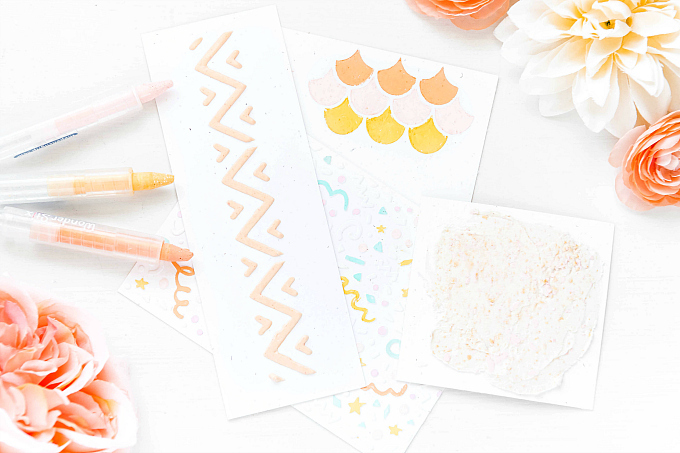 I'm so excited to be sharing one of my favorite time tips that helps me craft when I'm in a rush, but still want to create a beautiful little card for someone special. The Tip? It's pretty simple....I go small! I create a tags instead of cards! The reason this works so well is pretty simple - there is less work to do :) For today''s project, I spent the same amount of time stamping and cutting flowers for both of these little tags, as I would have for one larger card. Major win! Approaching cards this way, saves me piles of time when I'm in a rush, esp during long weekends and such. Because as much as I love crafting, the last thing I want to do is spend my day indoors during the last few nice-ish days we have before things turn cooler. I do, however, find that the tiny nature of these tags is a bit small-ish for some occasions, and sometimes pasting them onto a card base just doesn't cut it, so my favorite next trick is to use a glassine bag to adhere the creations on! It instantly adds size and the best part? 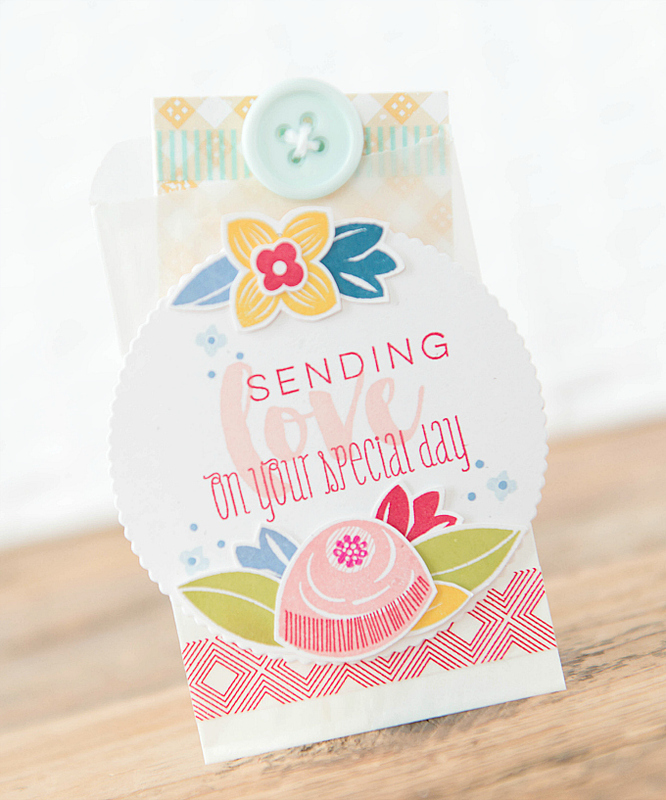 It's so easy to add a little piece of paper tucked inside with a button or a ribbon, for an extra special note. I also love that the translucent baggies add a lot of dimension and texture without a ton of work or a ton of bulk! For both of these tags, I used CTMH Shower Flowers, and for the sentiments, a mix of stamps that I had laying around, such as Crate Paper's Little You, and Wplus9's Fresh Cut Florals. For the ink colors, I used: PTI Pure Poppy, Pale Peony, Green Parakeet, Blueberry Sky, Bright Buttercup and Archival Ink in Tea Rose. 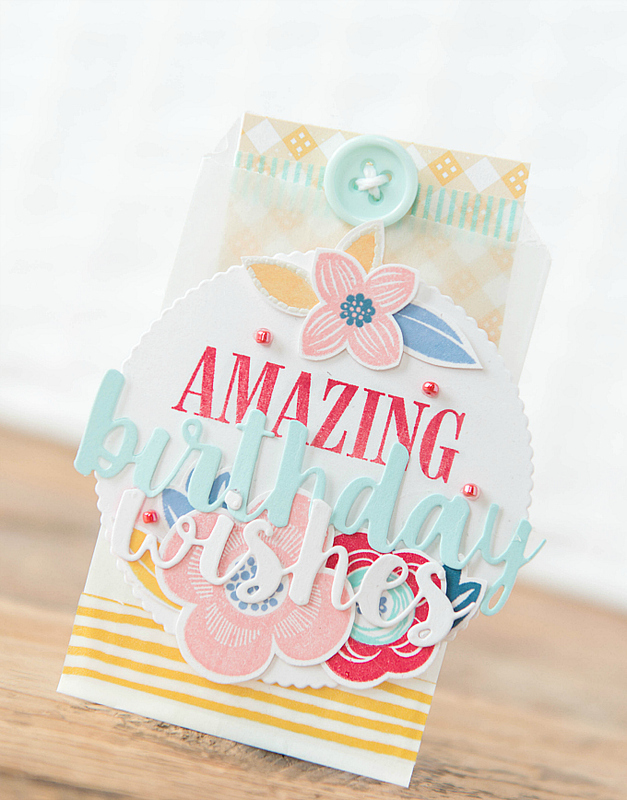 For the sentiment on this tag, I used My Favorite Things Cause for Celebration die in a couple of different cardstock shades. 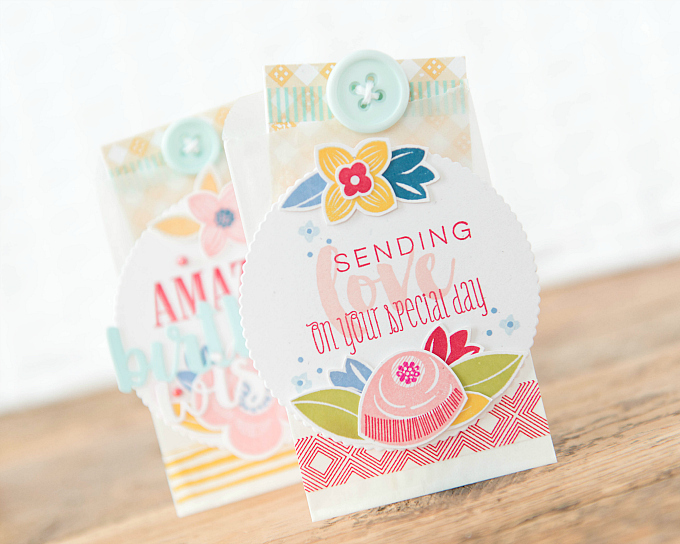 Loooove these pretty dies to bits. Well, that's it for me today friends! You can find these little pockets and many more items in my Shoppe, along with a 15% coupon off your entire purchase until Monday, the 4th. SO much sweetness, love these! !